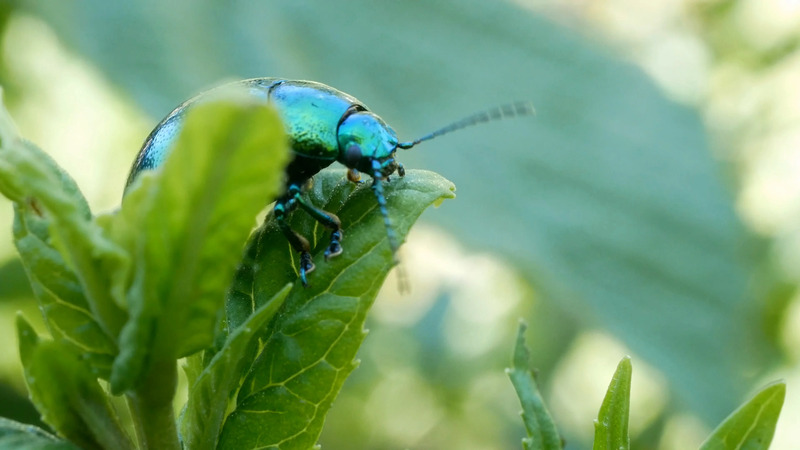 A Green Beetle Sits On A Sheet Of Mint. Chrysolina Herbacea. Leafy. Description: A green beetle sits on a sheet of mint. Chrysolina herbacea. Leafy.